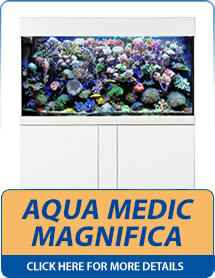 Aqua Medic is a prominent name in the aquatic industry and has more than 30 years experience in saltwater aquatics. 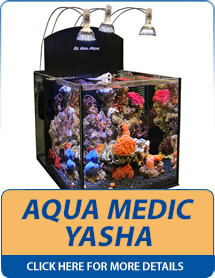 They have been producing quality aquariums and accessories for fish-keeping enthusiasts since 1992. Aqua Medic products are now available in more than 70 countries around the world and their stated aim is to continually striving to produce new, innovative products that will us to come ever closer to reproducing nature's amazing variety of aquatic biotopes. 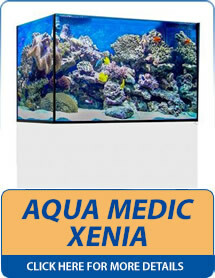 Their current aquarium range, which stretches from the compact Yasha and Blenny through to the larger Xenia and Magnifica models is one of the most diverse on the market. 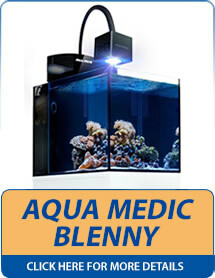 Don't forget that Aquahome also offer in store finance too which means that you are able to spread the cost of your chosen aquarium over 12 months interest free, or even spread the cost over 2, 3 or 4 years (interest bearing)! 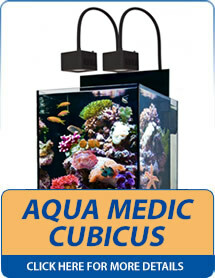 For more information please see the Aquahome Returns Policy and In Store Finance Information. 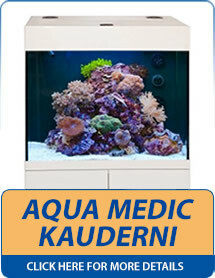 Please click below on the particular Aqua Medic aquariums that you would like to view in more detail.